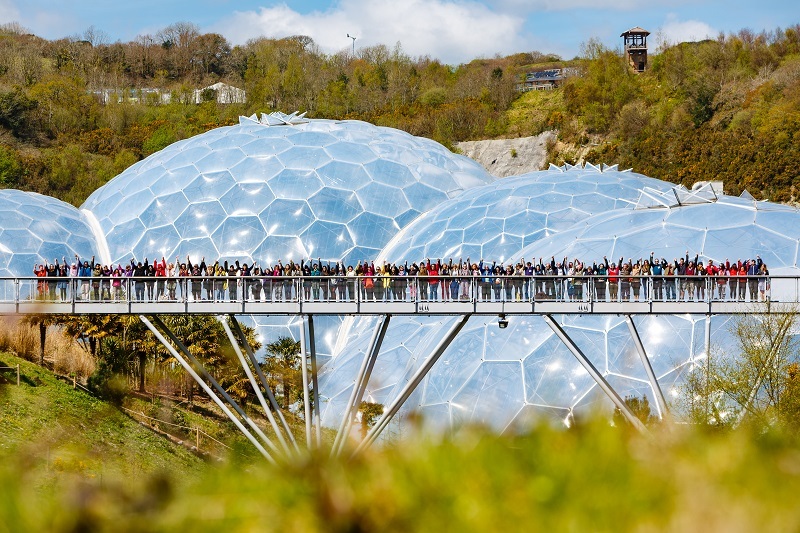 Our Community Camps are residential camps held at the Eden Project in Cornwall, offering a mixture of practical activities, workshop sessions and networking opportunities. They're for people in the UK who want to start a community initiative or take an existing project to the next level, and are pitched at a level for people starting out on their journey. Each of our events is unique — we make them as relevant as possible to the people coming. 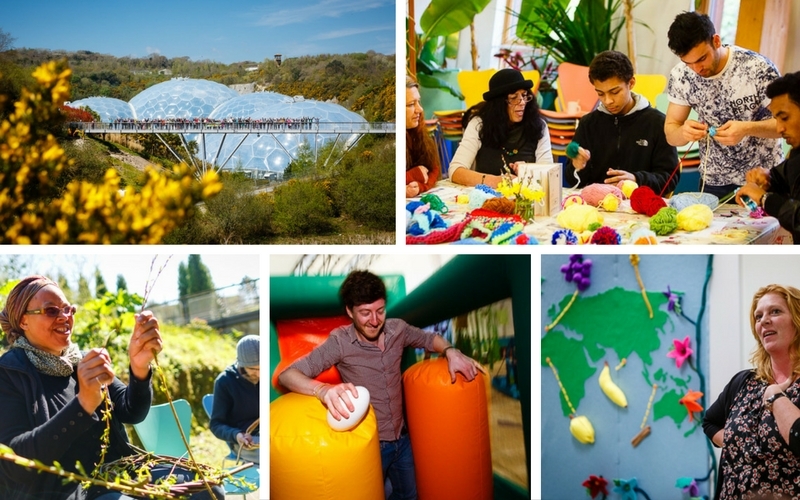 Over 1000 people have enjoyed and been inspired by an Eden Community Camp so far! Our next Community Camps will be Autumn 2019. Sign up to our newsletter or follow us on Facebook, Twitter or Instagram to be the first to know when the dates are released! Focused workshops: Select from a menu of different themes to tailor your experience. These could include topics such as financing your project, spreading the word through social media, or a ‘how to’ on rejuvenating green spaces. Practical activities: A selection of taster sessions offering ideas on how to best engage with the people in your own neighbourhood. Networking: An opportunity to meet like-minded people, establish new useful connections and get a different perspective on things — whether it's through one of our workshops or over a cuppa. Practical resources: You’ll come away with a set of useful materials that will help support you once you’re back in your community. Social activities: There’ll be plenty of chances to enjoy a delicious meal and chat with others in the same boat. During your free time you can also explore Eden in all its wonder. On-site accommodation: You’ll stay onsite in the YHA Snoozeboxes — made from shipping containers! Delicious food: All meals will be provided during your residential stay — plus plenty of tea and cake! So far, 94% of people who’ve come to a Community Camp have gone on to do something in their communities using skills or information they’ve learnt at Camp. Community Camps are aimed at people who want to do something more in their community, so as part of our funding requirements, we need to follow up with everyone to find out how they're getting on, what they've been up to and what it is they're doing in their communities. Accepting a funded place means making a commitment to go on to do something with what you’ve gained at Camp. This means we'll stay in touch to see how you're getting on, and we may invite you to attend regional events and complete surveys. You can read about some of the inspiring people who have used their Community Camp experience to do great things back home in their communities. Camps are specifically for the benefit of community members, and unfortunately we're unable to allocate funded places to professionals, to people who are paid for a community post, or people who do things in their community as part of their job.